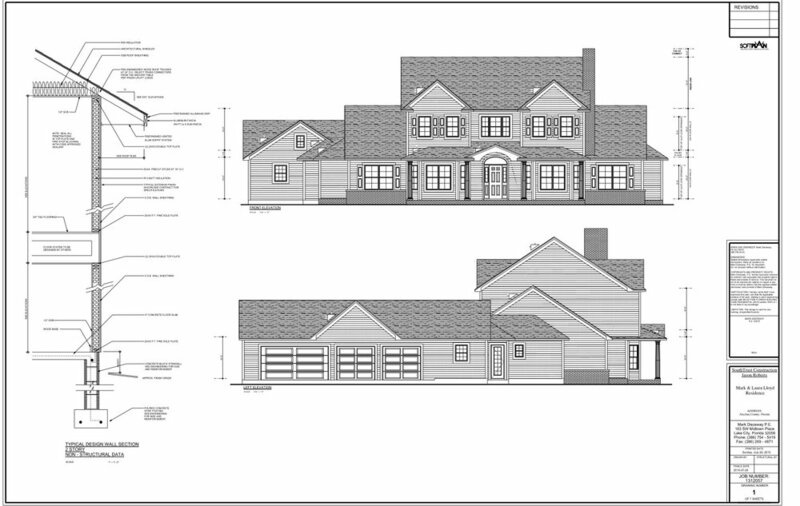 Plans — SouthTrust Construction Inc.
Total Living Area: 1870 S.F. TOTAL UNDER ROOF: 2813 S.F. First Floor Living Area - 1828 S.F. Second Floor Living Area - 238 S.F. Total Living Area - 2066 S.F. Porch/Entry Area - 375 S.F. Unfinished Attic Area - +/- 284 S.F. Unfinished Bonus Room Area +/- 332 S.F. TOTAL UNDER ROOF 3057 S.F. Living Area - 1596 S.F. Porch Area - 400 S.F. TOTAL UNDER ROOF - 1996 S.F. Living Area - 2020 S.F. Garage Area - 680 S.F. Porch Area - 581 S.F. TOTAL UNDER ROOF - 3281 S.F. 1st Floor Living Area - 3043 S.F. 2nd Floor Living Area - 1414 S.F. Rear Porch Area - 825 S.F. Front Porch Area - 267 S.F. Garage Area - 1124 S.F. TOTAL UNDER ROOF - 6673 S.F.